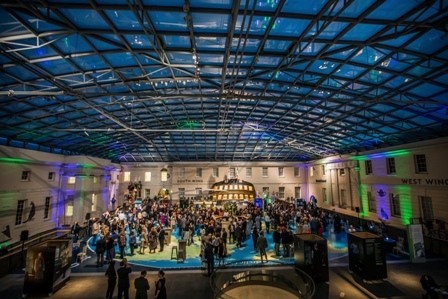 On 20th September, four new galleries were opened at the National Maritime Museum (NMM) by Sir David Attenborough, following a major £12.6M redevelopment project, supported by the Heritage Lottery Fund. We are pleased to announce the space is now available for tours as an added experience when booking events at Neptune Court in the museum. 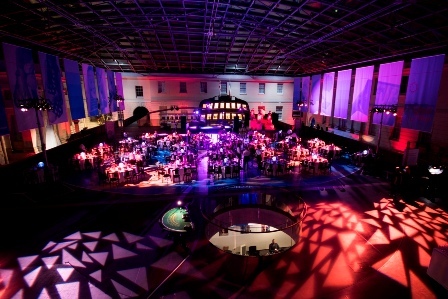 With over 1,100 objects on display, the galleries bring the theme of exploration alive, giving guest’s unprecedented access to the NMM’s world-class collections. The four new galleries – Tudor and Stuart Seafarers, Pacific Encounters, Polar Worlds and Sea Things – cover British and European exploration from the late-fifteenth century through to the present day. Designed by Casson Mann, the visually enticing and object-rich galleries offer a welcoming environment for guests to engage with and contemplate significant moments of Britain’s maritime past. The redevelopment project sees the opening of 1,000m2 of space in the Museum’s East Wing which was previously closed to visitors.